individual automatic machines. It opened in 1947. By 1949 the business had evolved into a Laundromat with baskets and eventually it became baskets with gifts and now is primarily gifts. The delightful owner said he had been there for 33 years come January. He must have started really young! Anyway, I had always thought it was primarily baskets, but the store was full of interesting unique items. I bought a few items for my mom’s Christmas stocking. 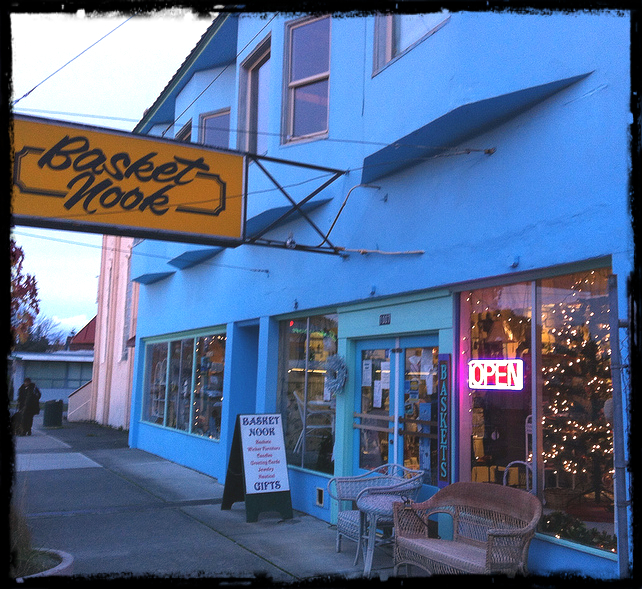 This entry was posted in Stores and other places that sell you things, Tacoma, Unique Shopping (stores with some personality), WA State - Pierce County and tagged Basket, Basket Nook, Hilltop, Nook, Tacoma, WA on December 7, 2012 by admin.